The entry level S series from the Ulefone brand is certainly among the most affordable devices out there, but they are still trying to put some solid hardware into these cheap devices. And with the recently released Ulefone S10 Pro they even added some cream on the top with the elegant back cover and overall design. 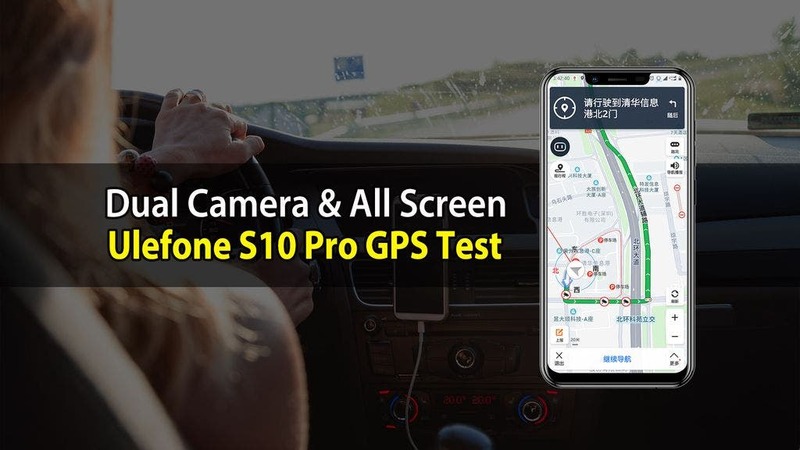 And today they released a GPS test video for the phone you can see there is nothing to fear in terms of navigational purposes even with the cheap phone. So what can it offer ? Ulefone S10 Pro will be sporting 19:9 5,7-inch screen with HD+ resolution 1498×720 pixels and 90% screen to body ratio, MT6739 quad-core processor, 2 GB RAM, 16 GB of internal storage, 16MP+5MP dual rear cameras, 8MP front selfie cam, 3350 mAh battery capacity, face unlock tech, rear fingeprint scanner , Android 8.1 Oreo system and of course the pretty so-called “auroreous” design of the back panel. You can find more information about the phone on the Ulefone official website and currently the Ulefone S10 Pro is sitting at just $69.99 price for example in here . So if you need some solid entry-level device, then this one could be the right choice.